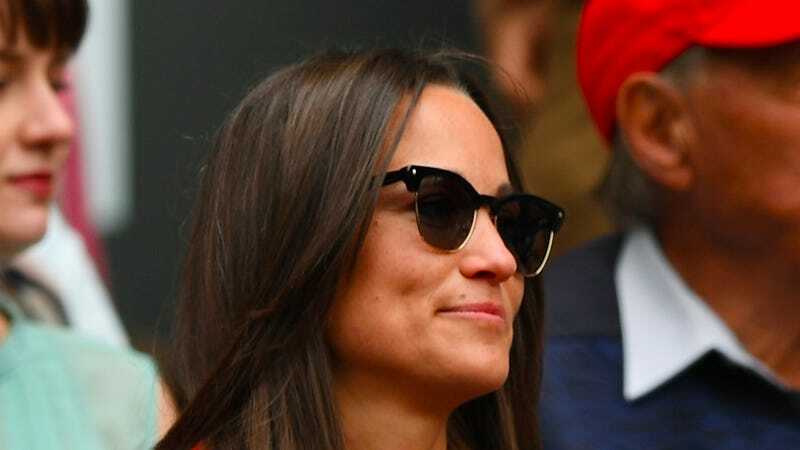 For your information, Pippa Middleton doesn’t like the term “socialite.” In fact it “really irritates” her. Thanks. No offense to Pippa, but it’s probably just that “socialite,” like “consultant,” is one of those terms you default to when you’re not exactly clear on what somebody does for a living but know they are rich. She writes columns, yes, but her career as a media sensation never really took off after her first book, Celebrate was widely panned. Philanthropy is very nice but it’s not exactly not associated with socialites. Unlike her sister, she doesn’t have any security guards or media minders. ‘There’s always something cropping up and that has to be managed on my own. It’s been a real eye-opener for James. There have been quite a few hurdles to negotiate,’ she says carefully. “A date has still not been set for next year’s nuptials, but the presence of William and Kate will surely make it the wedding of the year - unless the couple are upstaged by Prince Harry or Princess Eugenie beating them to the altar,” the Daily Mail notes. Rude!